Resizing partitions under Windows Preinstallation Environment bootable CD with the help of AOMEI PE Buider provides us with a new and secure way to shrink, extend or move partitions. In this article, we will show you have to create a bootable CD with AOMEI PE Builder then resize your partition in WinPE. Those who have small-capacity hard drives often find themselves in trouble when the hard drive space running low. To clear some space for installing more apps, they have to delete something on the hard drive if there’s no other option. However, a more advisable choice is to resize partitions. It’s recommended to give system partition at least 10GB free space for better performance and future use. Today in this article, we will show you a convenient way to do this without accessing into Windows - resize partition in Win PE with boot CD. 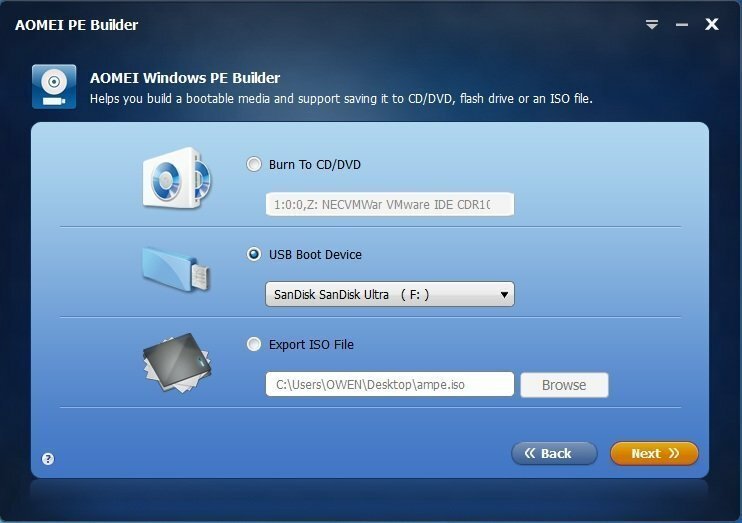 We can use AOMEI PE Builder to resize partitions under Windows preinstallation environment. As the name suggests, AOMEI PE Builder can create a WindowsPE device. More than that, a multifunctional disk management app of AOMEI Tech has been added into this preinstallation environment: AOMEI Partition Assistant. 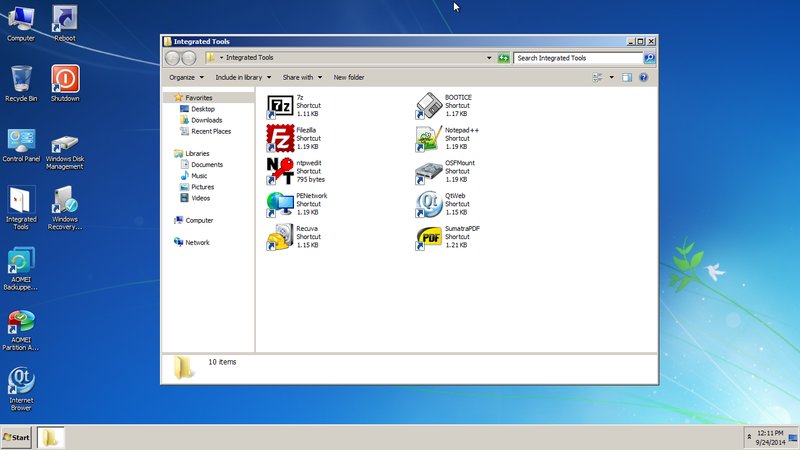 AOMEI PA allows the users to do merge/move/split/delete/format/hide/resize partition and many other operations. How to Resize Partitions with Bootable CD? 1. First we need to do is to run AOMEI PE Builder and get a bootable CD. Once we open AOMEI PE Builder, just choose CD/DVD as the destination device for saving the WinPE settings. Click Next then follow the wizard to complete the process of WinPE bootable CD make. Once it’s done, shut down the computer. 2. Go to BIOS and change the boot device to CD/DVD. Then we’ll access into WinPE. Find AOMEI Partition Assistant on desktop. 3. In the main window, we can find the partitions at the bottom right. Right click on the partition that you would like to resize. 4. In resize partition window, we can specify the partition size as well as the size of the space before and after this very partition by inputting the exact numbers. Also, we can just use our mouse to drag the coordinate bar leftwards or rightwards to resize the partition too. 5. For SSD users, please note that the Advanced settings can help you to align the partitions after the resize operation. Click OK to continue. 6. Here we’ll back to the main interface. Click Apply button then choose Proceed. Then AOMEI Partition will execute the resize operation immediately.